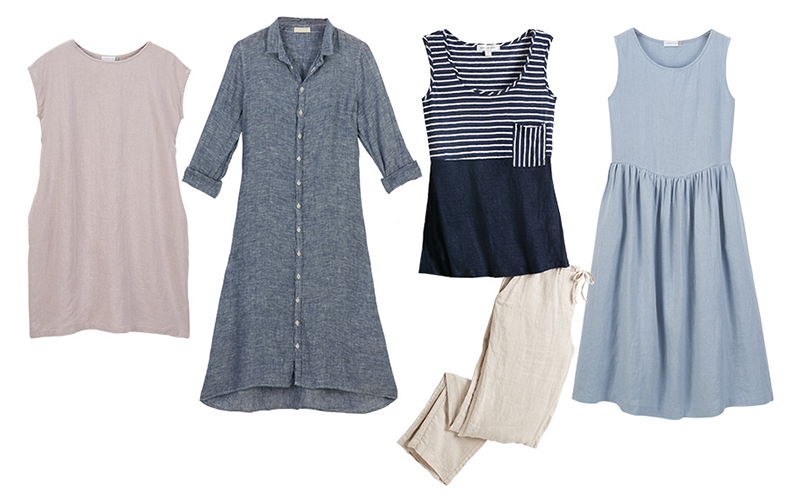 When it comes to versatility in travel wear, there’s nothing like linen. 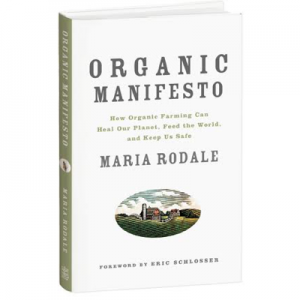 This environmentally friendly fabric is spun from the cellulose fibers of the flax plant, one of the oldest cultivated plants in the world. As a textile, linen dates back thousands of years, and there’s a really good reason we’ve stuck with it for so many generations: It works well in lots of situations. For starters, linen is the best option for humid, tropical climates. Unlike cotton, it won’t stick to sweaty skin. Plus, it allows air to flow freely, helping to keep you cool and comfortable. 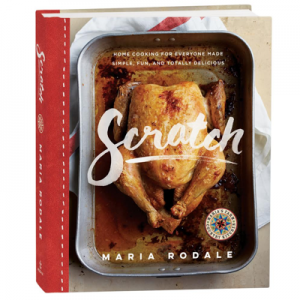 And did we mention it looks good, too? Laid-back yet fashionable, it can be dressed up or dressed down with the addition or subtraction of just a few accessories. A single linen outfit can be worn for anything from an hours-long plane ride to a morning of beachcombing or a long day of sightseeing, and will stay looking fresh for cocktails at sunset or a moonlit stroll. And if the night air gets a little chilly, linen is great for layering, and it looks just right paired with a cardigan, jacket, or stylish wrap. Pull it on and go! You’ll look completely pulled together in an instant in this simple feminine dress. It has the ultimate relaxed silhouette for easy, stress-free vacation dressing, so you’ll stay comfortable no matter the activity. The loose fit is ideal for even the hottest temperatures. Pair it with simple sandals and a belt for a style that seamlessly transitions from day to night. 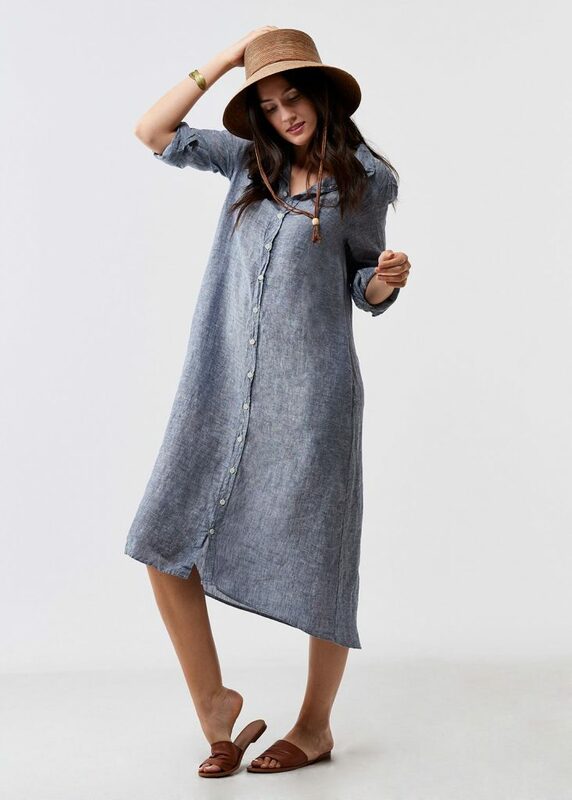 Soft, comfortable, and forgiving…this button-down dress really has it all—and pockets, too! The relaxed fit is easy to wear, and keeps you cool on long, hot days, but the sleeves and mid-calf length also provide coverage. Throw it in the washing machine for easy care. 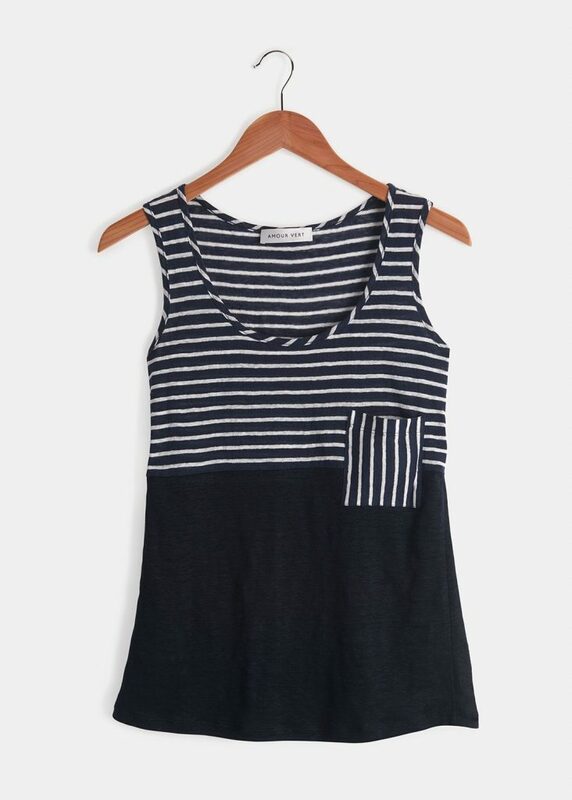 This nautical-inspired tank is sophisticated without being too fussy. Pair it with simple linen pants, shorts, or a skirt for a wear-anywhere look that will have you looking as good as you feel. Rolled or full-length, these lightweight pants are ready for laid-back sunny vacation days. 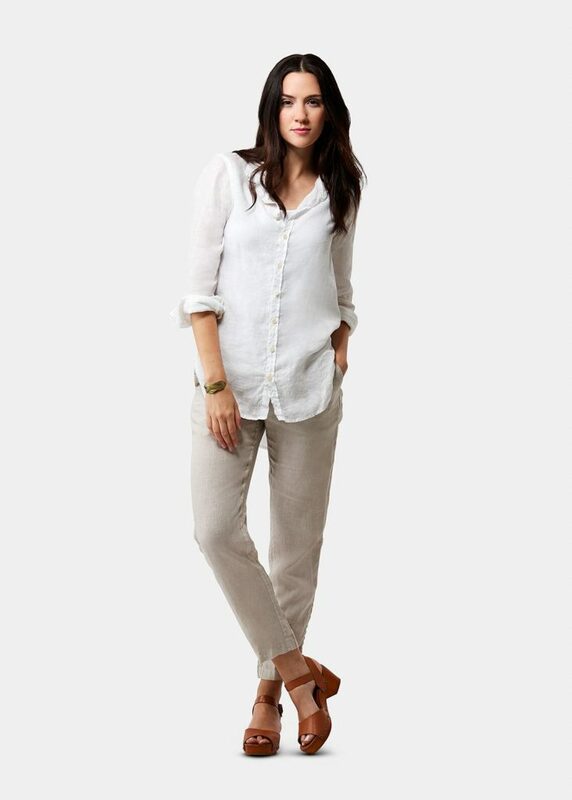 With their relaxed fit and the soft way the linen fabric falls, they have just the right amount of drape and texture. Pair them with a tank and some oversized sunglasses, and be on your way. 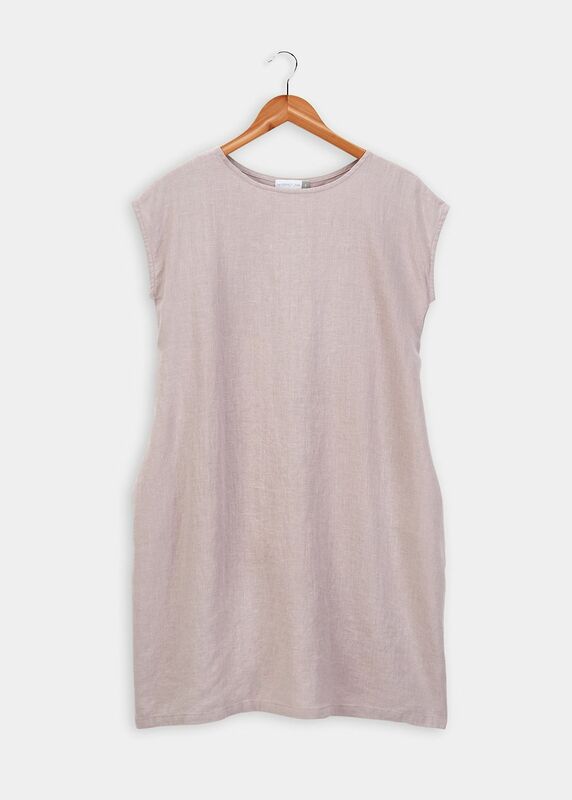 A simple sleeveless dress really is a summer travel staple. The easy, elevated look of this babydoll silhouette looks great in a variety of situations, from the beach to the boardwalk to dinner and beyond. Pair it with flip-flops during the day; change into heels and some statement jewelry for a night on the town. So where do you buy women’s clothes made of 100% cotton, linen, silk, hemp or the ever elusive wool? Where do you find clothes made of natural fibers that look stylish and make a woman feel pretty not like a bag lady? And as long as I am wishing – affordable????!!! !